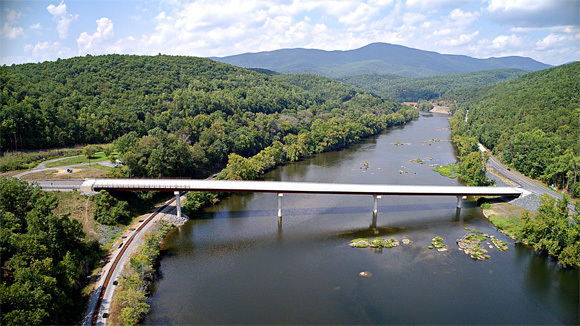 AECOM provided the engineering design services for a $16.3 million Replacement Bridge across the James River and CSX Railroad at the intersection of Route 501 and Route 130 in Amherst and Bedford Counties. The new 930-foot-long structure replaced a two-lane 1920s era bridge that had become structurally deficit, functionally obsolete, and “fracture critical”. The Replacement Bridge, located .6 mile downstream from the old bridge, maintains a T intersection between Route 501 and Route 130. Route 130 was widened to provide a right turn lane and left turn lane onto the bridge and Route 501. AECOM worked with VDOT, CSX Railroad, the U.S. Forest Service, Dominion Power, Virginia State Police, Bedford and Amherst Counties. The new design allowed for the return of 3.75 acres to the U.S. Forest Service on either side of the river. The amount of stormwater-runoff was reduced, eliminating the need for a permanent stormwater management basin. Austin Brockenbrough & Associates LLP was in charge of architecture and engineering services for replacing three Interstate 95 Welcome Centers and Safety Rest Areas. 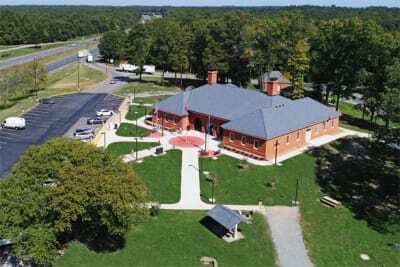 Because VDOT wanted to use a prior design by DJG for a New Kent County Rest Area, Brockenbrough teamed up with DJG. 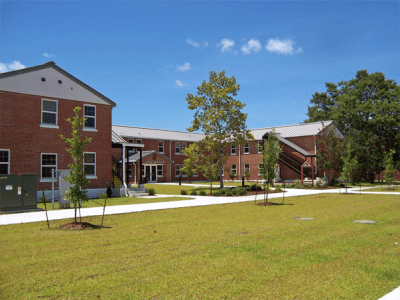 The facilities, which were recognized for their enhanced energy performance and water efficiency, as well as their use of state-of-the-art lighting controls, recycled materials and made-in-Virginia components, have each received the LEED Silver Certification. An anticipated energy cost savings of 64% compared to the energy code baseline was documented. Water heating now uses approximately 25% of the energy consumed by conventional electric resistance water heaters. Low flow water fixtures are utilized in all of the restrooms reducing potable water use by 43% compared to the plumbing code baseline. 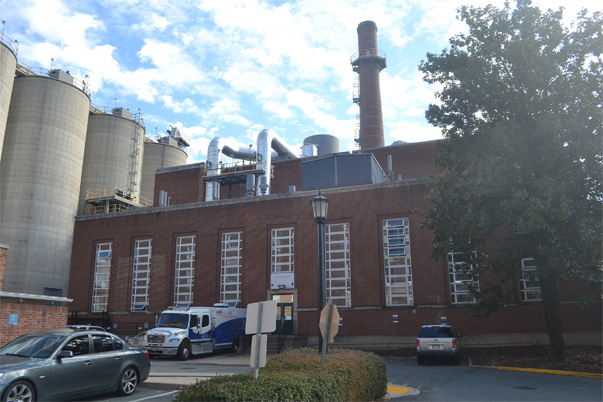 CHA Consulting Inc. worked with UVA Facility Management providing engineering and administrative oversight as part of an emergency project to replace the hot well tank handling steam heating at the University of Virginia. This was a critical project because the system serves UVA’s Academic, Research and Administrative buildings as well as the UVA Hospital. The failure occurred because of a leak in the stainless steel hot well tank and was replaced by a higher grade of stainless steel. A temporary bypass system was used during the construction phase to prevent any interruption in service to UVA. DJG Inc. totally renovated the outdated Law Center at the Cherry Point Marine Corps Air Station in Havelock, North Carolina, saving the 23,575-square-foot building from the wrecking ball. The two-story 1940s building had no facilities for private meetings with the Legal Center’s staff, no way to separate defendants from prosecutors, and no way to accommodate different size juries. The courtroom was too small to meet most military judicial requirements. In addition, the Law Center did not meet Homeland Security Anti-Terrorism Force Protection requirements and lacked ADA accessibility. In a sweeping $4 million renovation, DJG addressed each of these issues, gutting the building and creating a new layout to meet needs of prosecutors, defendants, visitors and juries as well as addressing Homeland Security needs. Mason & Hanger upgraded the Thomas Jefferson National Acceleration Facility (Jefferson Lab) in Newport News, a Department of Energy funded national lab engaged in atomic research using a unique particle accelerator. The Jefferson Lab stores data produced by the facility’s experiments and serves as an important high speed, high capacity computing resource for universities and labs worldwide. 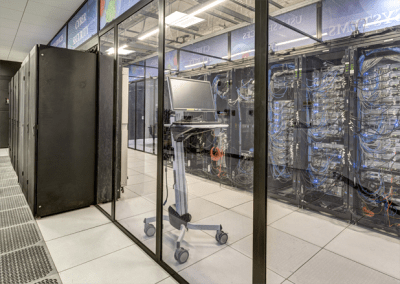 Mason & Hanger was able to reduce the facility’s power usage effectiveness, bringing the Jefferson Lab into compliance with federal performance requirements and reducing cooling energy by more than 50%. STV provided design services for the long-planned Phase II Construction of I-581 and the Valley View Boulevard Interchange in Roanoke. STV modified the existing partial cloverleaf interchange into a “diverging diamond” interchange which does not require vehicles to cross oncoming traffic to make a left-hand turn. 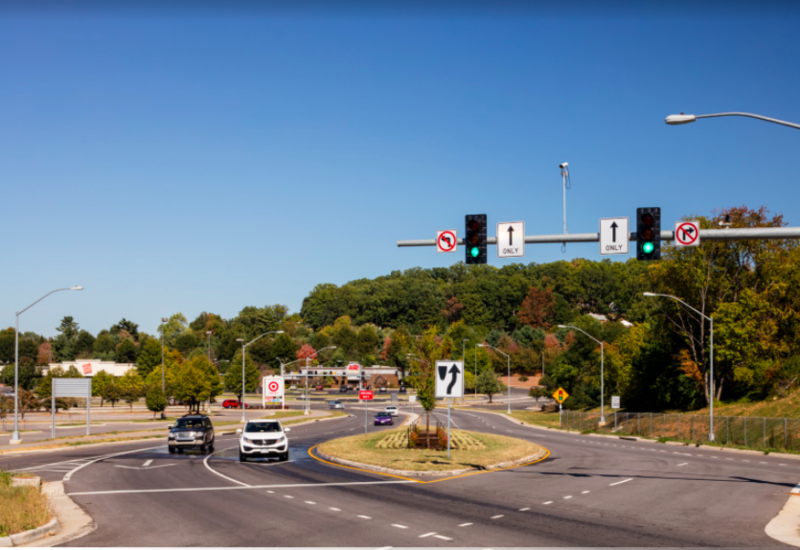 This significantly improved traffic congestion and safety in a high-trafficked area that includes the Valley View Mall and the Roanoke-Blacksburg Airport. In addition, STV eliminated more than 900 linear feet of stream relocation and removed the need to acquire and demolish five residences. A new path bridge for the Lick Run Greenway allows pedestrians and bicyclists safe passage across I-581 on a traffic-free paved pathway.